Six new species of Chinese dragon millipedes, including species living exclusively in caves, are described as a result of an international cooperation of research institutes from China, Russia and Germany. 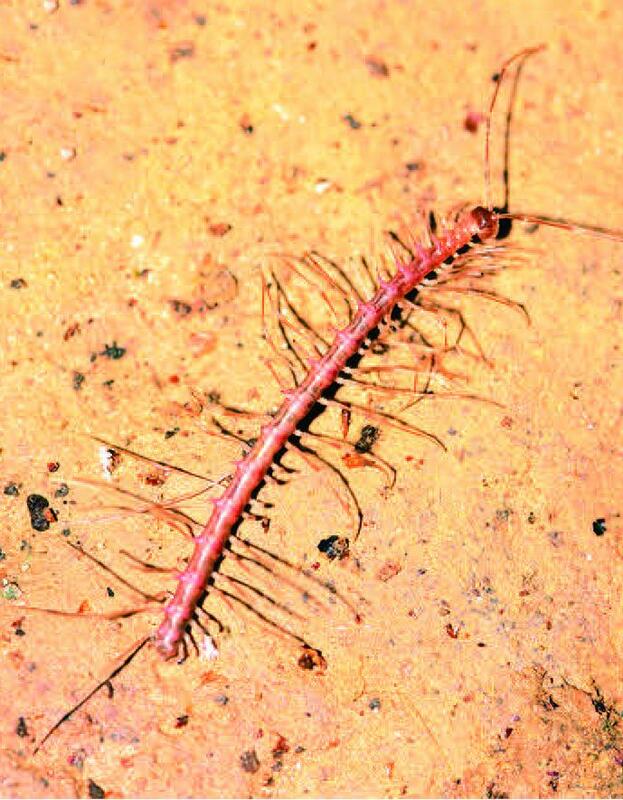 These cave species have unusually long legs and antennae, with one of them resembling a stick insect, only with a lot more legs. Others appear ghostly white and semi-transparent. The study is published in the open-access journal ZooKeys. Underresearched in many tropical countries, numerous millipede species are still awaiting discovery and description in China as well. In the present study, three researchers from South China Agricultural University, the Russian Academy of Sciences, and Zoological Research Museum Alexander Koenig describe six particularly extraordinary new species of so-called 'dragon millipedes' from the two southern Chinese regions of Guangdong and Guangxi Zhuang. Both areas host a large number of spectacular caves, which have only recently been thoroughly surveyed. Four of the species never leave their underground homes. Dragon millipedes, a genus of millipedes living in southeastern Asia, are characterised with their 'armour' of unusual spine-like projections. Furthermore, some of these species produce toxic hydrogen cyanide to ward off predators. Among the public, the genus gained particular attention when the "Shocking pink dragon millipede" was discovered in Thailand in 2007. 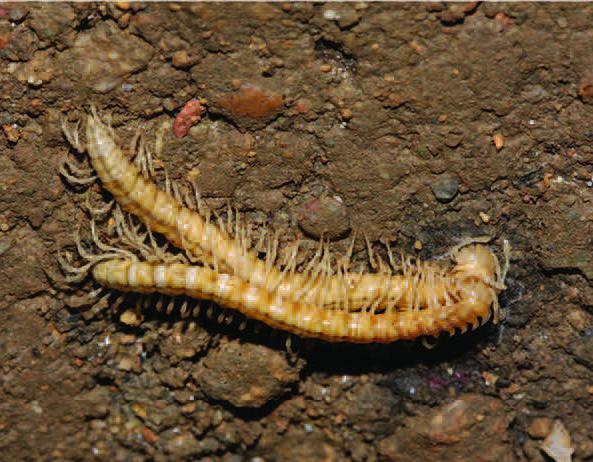 This discovery highlighted a large number of unknown millipede species in the Mekong region and worldwide. While the newly described cave dragon millipedes from China lack the "shocking" warning colour of their surface-living relatives, they are no less spectacular. One of the new millipedes has received a formal name translating to the "stick insect dragon millipede" because of its extremely long legs and antennae. Therefore, it looks a lot like a stick insect, only with much more legs. Another two of the species have fully lost their colours, which is a common characteristic among exclusively cave-living animals. As a result, they appear ghostly white and even semi-transparent. Miss Liu Weixin, PhD candidate at the South China Agricultural University in Guangzhou, China, and co-author of the present study, has conducted the research at the Centre of Taxonomy at the Research Museum Koenig (ZFMK), Leibniz Institute for Animal Biodiversity in Bonn, Germany as a part of her PhD, which focuses on Chinese cave millipedes. She worked along with her advisor and lead author Prof. Tian Mingyi, and renowned millipede expert Dr. Sergei Golovatch from the Russian Academy of Sciences, Moscow. Over the course of her PhD, Miss Liu Weixin has explored more than 200 Chinese caves, where she has discovered over 20 new millipede species. 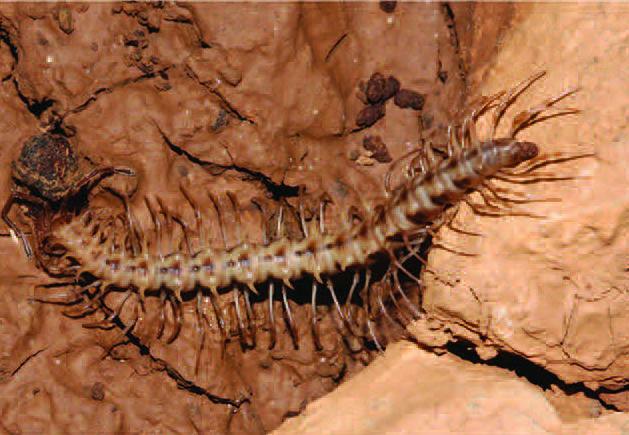 The dragon millipedes are among her most spectacular discoveries as they exhibit extreme cave adaptations including loss of pigmentation and extremely elongated legs and antennae. Still on her guest research year in Germany, Liu is currently busy describing additional batch of more than two dozen millipede species, she collected from the Chinese caves, literally bringing to light an unknown world.